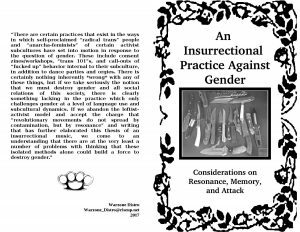 The collected statements ,essays , and communiqués of direct action and the Wimmin ’ s Fire Brigade. 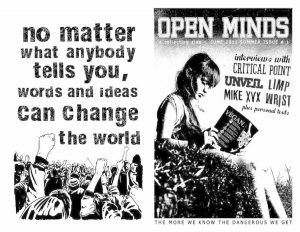 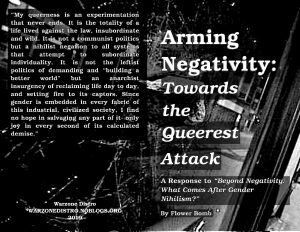 This zine includes a large collection of essays and interviews related to anti-capitalist, anti-fascist, anti-colonial, vegan, queer, anti-civ straight edge ideas. 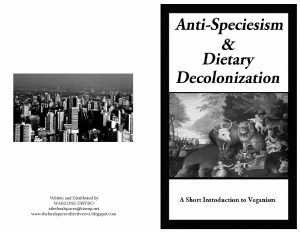 This zine breaks down the Standard American Diet, tracing it back to its colonial roots and advocates veganism as a form of anti-colonial resistance. 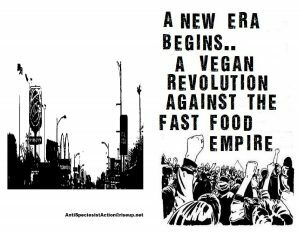 This is a short but informational flyer found a few years ago after a mcdonalds protest. 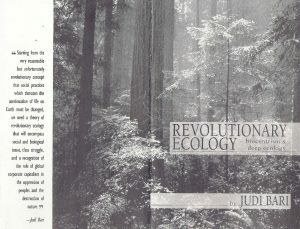 The email on the back no longer works but the info in the flyer is useful. 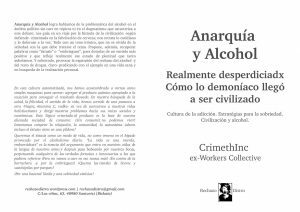 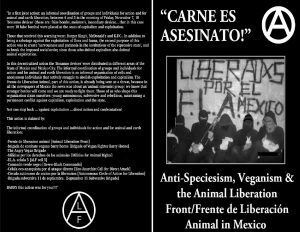 A zine that explores in-depth actions and analysis related to the vegan anarchist struggle in mexico. 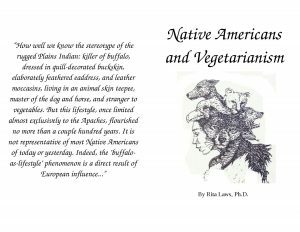 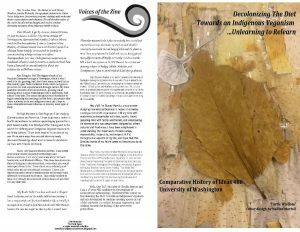 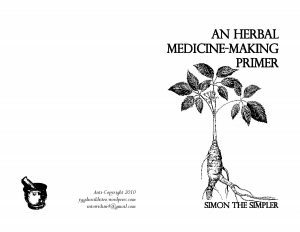 This zine contains a collection of essays and recipes focused on veganism as an indigenous form of anti-colonial resistance. 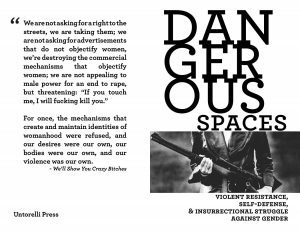 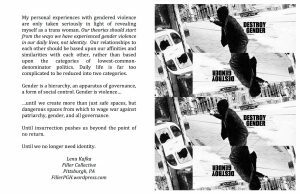 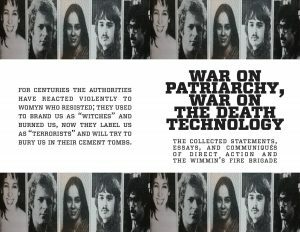 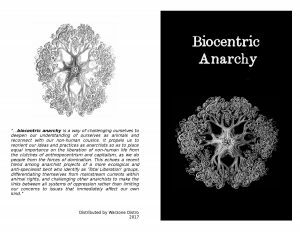 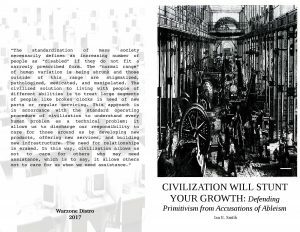 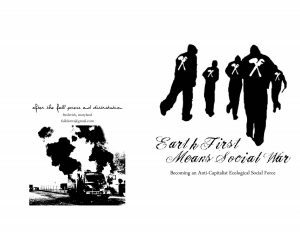 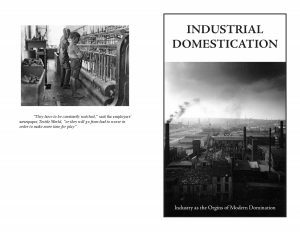 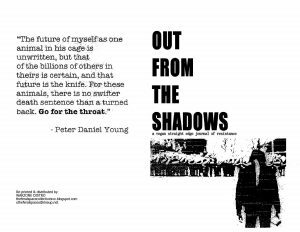 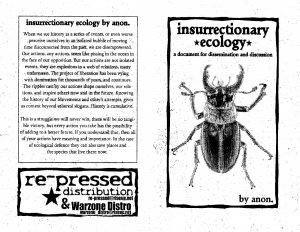 A zine that discusses insurrectionary anarchy and eco-defense in-depth as a combined praxis for total liberation. 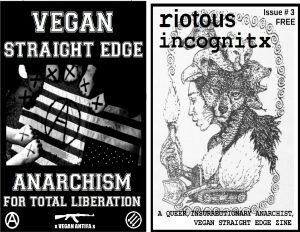 This hard-to-find zine discusses and encourages increased visibility of radical vegan straight edge ideas within the anarchist struggle. 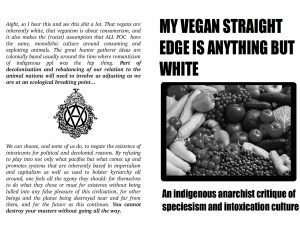 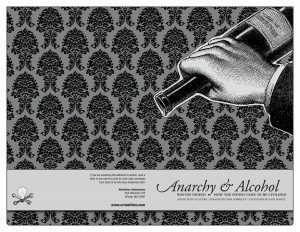 A vegan, straight edge anarchist zine filled with band interviews and essays. 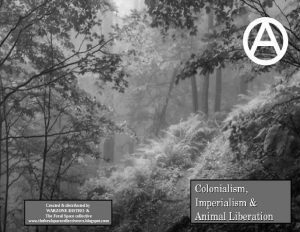 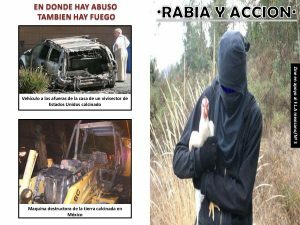 Un zine sobre la liberación animal, la acción directa y la anarquía vegana. 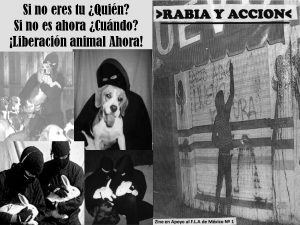 Incluye acciones realizadas en México por el Frente de Liberación Animal. 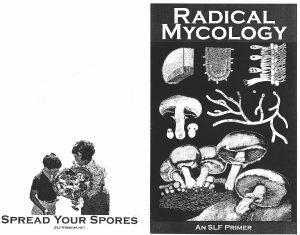 Probably one of the most detailed, comprehensive guides to identifying mushrooms on the web. 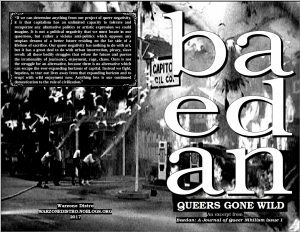 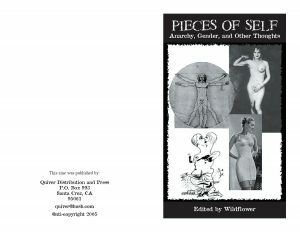 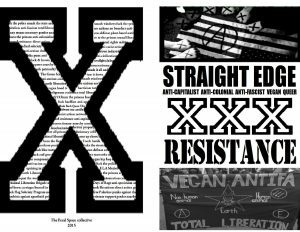 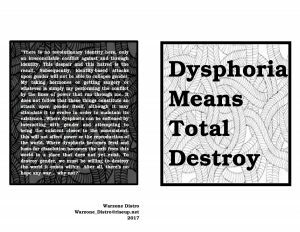 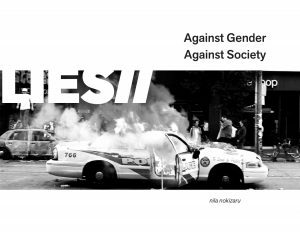 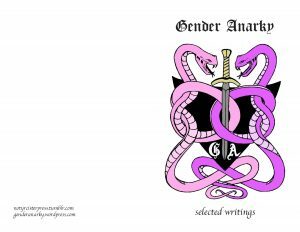 The second issue of a series of zines focused on queer, vegan straight edge insurrectionary anarchy. 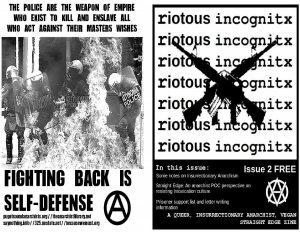 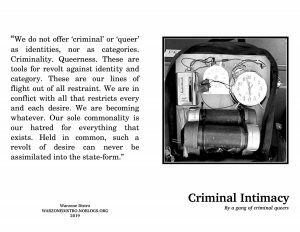 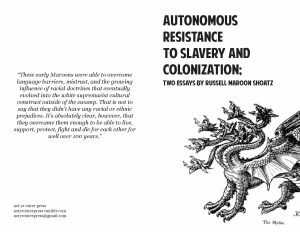 This issues discusses being a straight edge queer of color, insurrectionary anarchy and prisoner support. 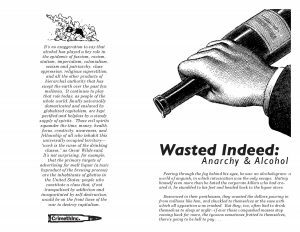 The last periodical of a series of zines focused on green anarchy, insurrection and vegan straight edge. 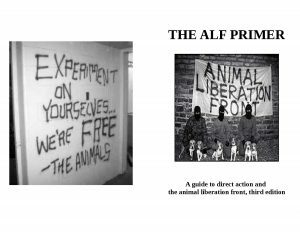 This is issue includes an essay about the rise of anti-speciesism in the anarchist movement, as well as some recipes for direct action.